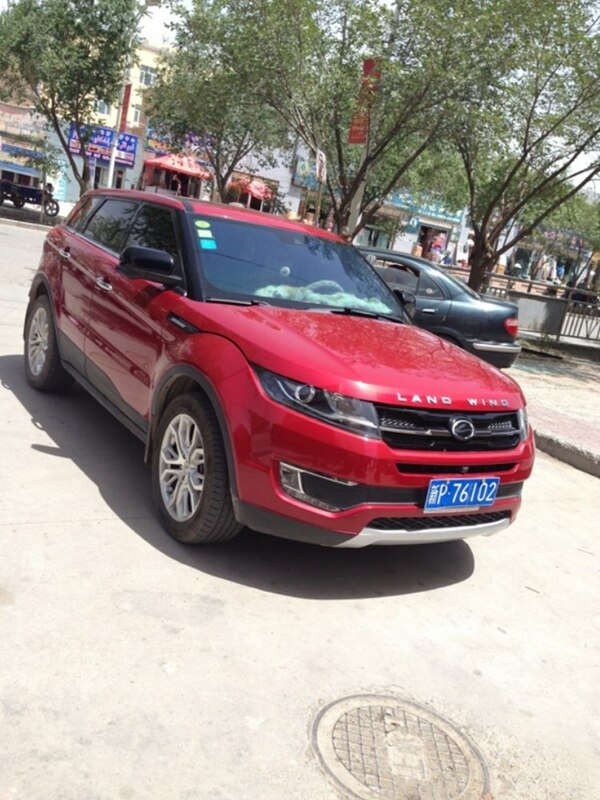 Arrived at 8.15 at the hotels parking area with his driver to accompany team Lipstick towards the Chinese border. 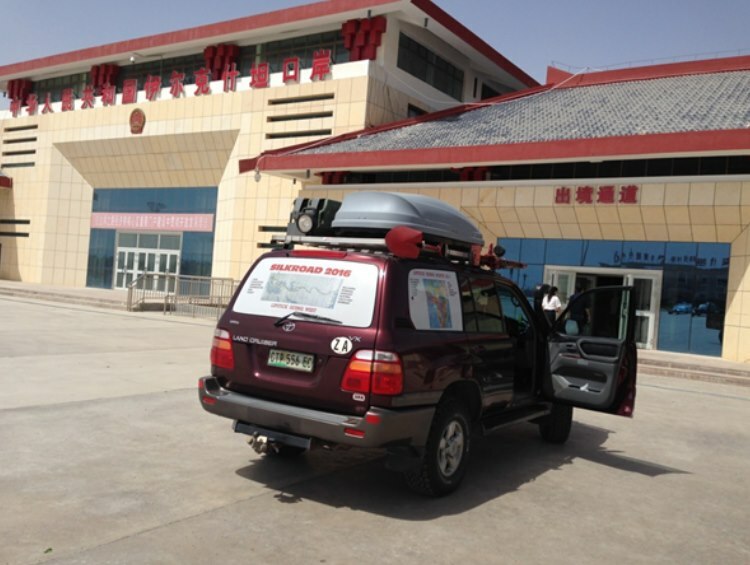 After about 100km the boys arrived at the Chinese customs control which at this stage was not even open (9:45am) and it took another 30 minutes before the team was allowed into the customs area where they had to park the car. 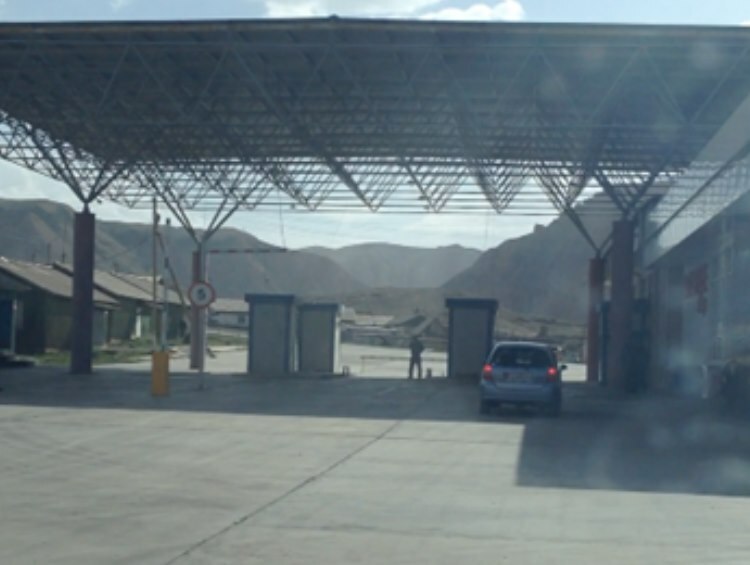 Shortly before the customs zone the team picked up a young polish couple which was hitchhiking toward Kyrkistan – they spent 3 Months in China and were on their way back to Poland. On arrival at the customs department the team were told that they are not allowed to take any hitchhikers with as the car papers only allowed 2 people inside Lipstick. So goodbye and good luck to the couple from Poland and the waiting period for procedures to be competed did start. The guide then proceeded with all the paperwork showing that the car was properly imported into China and that it would now like to leave China. 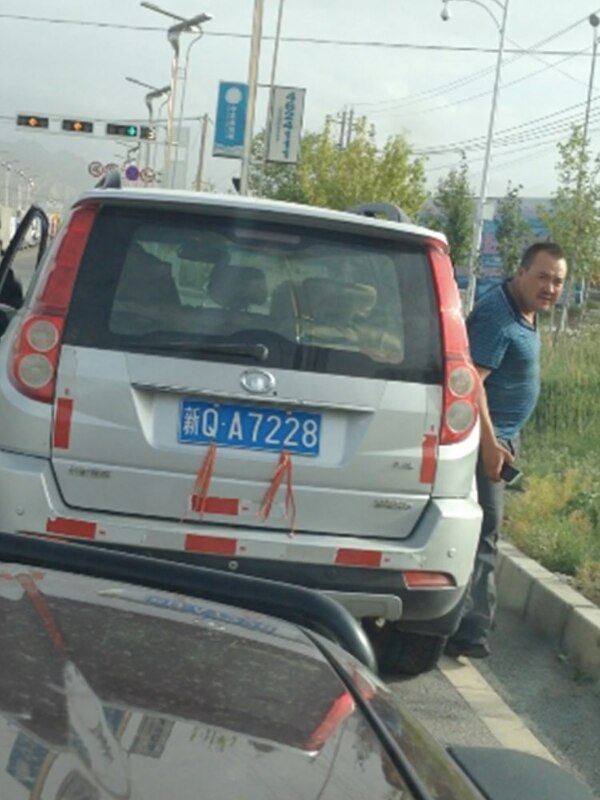 The story goes that the chief in charge of signing out cars which where imported into China is on a conference in Kashgar and he would only return after lunch. 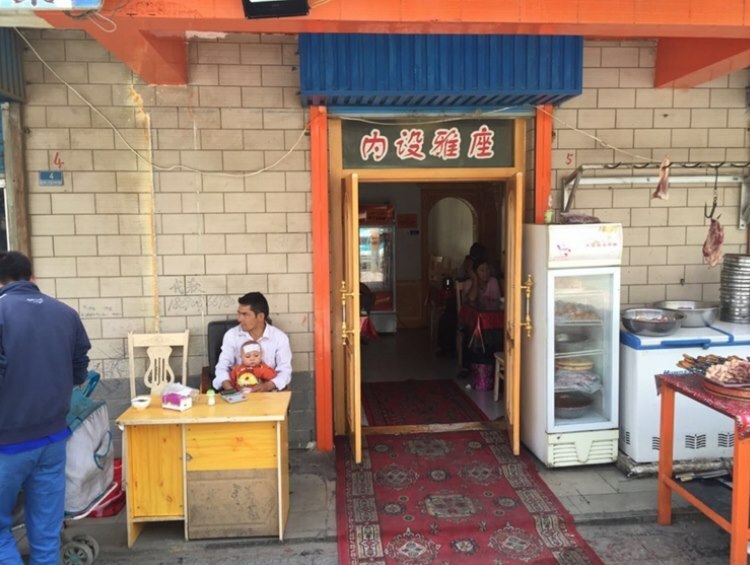 Lunch ends at 4:30pm Beijing time so the boys were snookered at 1pm with not much options on hand. …playing cards on the pavement… and admiring Lipstick not being sure where exactly South Africa would be…. Back at 4:30 at the customs department and the team was in for another 1.5 hours of patience testing before finally all papers were signed and the teams passports were stamped. 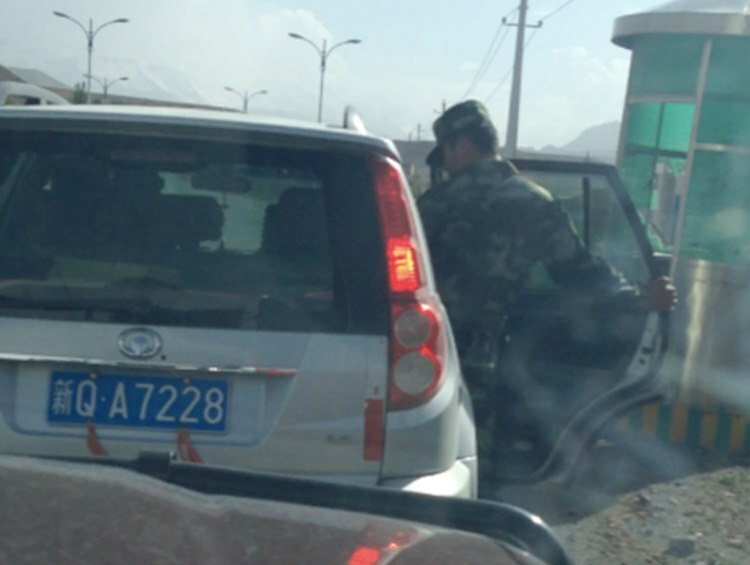 2 army guys then joined the fixer’s car and after another 5 km the last gate of China was reached, the team said bibi to the fixer and the 2 army guides and proceeded for another 2km until they reached the border of Kyrkistan. Very friendly staff and the passport procedures took less than 30 minutes after which the custom documentation had to be done and again the custom guys can only be described as very friendly and efficient. 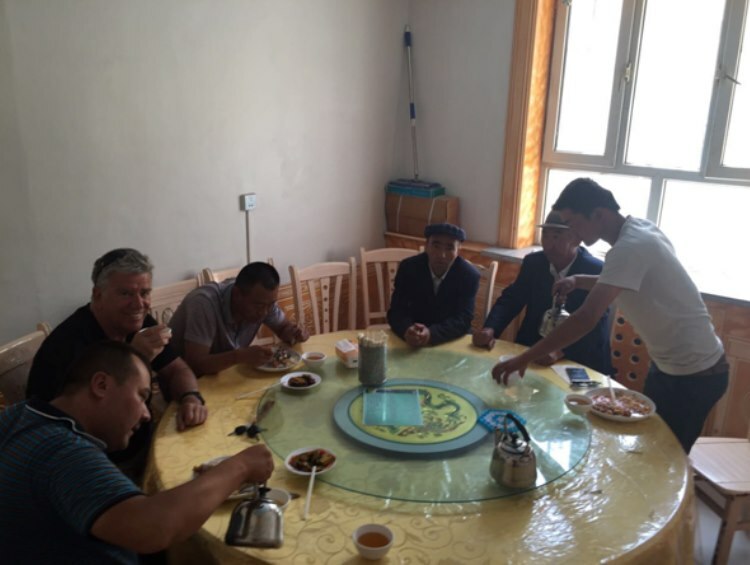 45 minutes later the team were officially in Kyrkistan and proceeded with their drive to OSH. Various police stops were encountered with one of them searching the vehicle and its contents thoroughly but nothing to their dislike could be found they however remarked that the boys should get used to Vodka and though their Scotch whiskey away…. 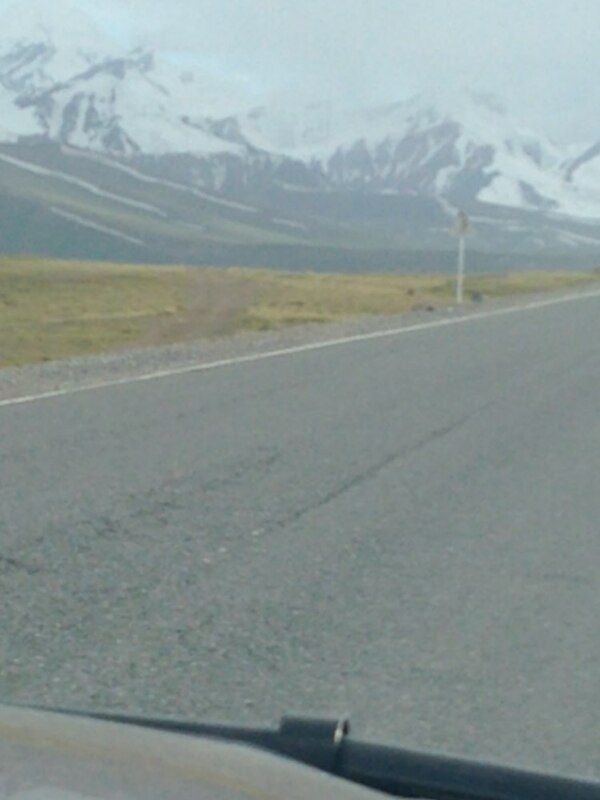 Some 50 km into Kyrkistan on a long straight route the team Lipstick saw a car parked on the side and on closer approach discovered that the young couple from Poland are looking for a lift. They were just dropped of by the parked car who was turning away into another direction. 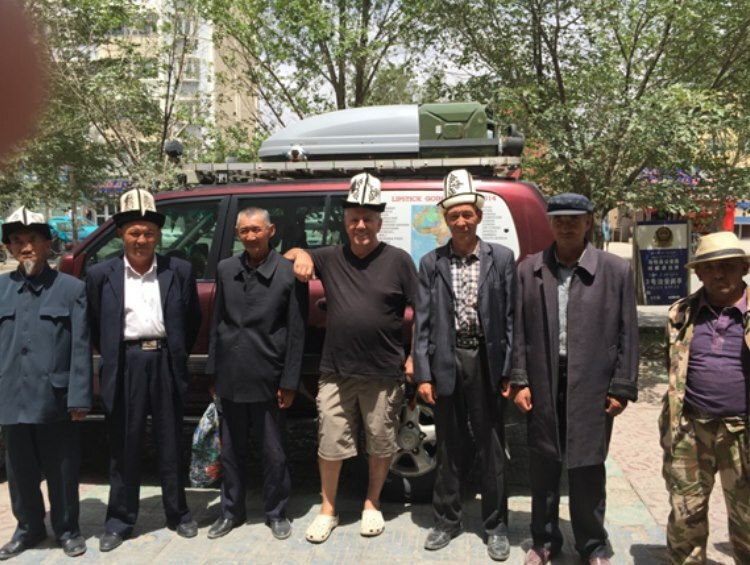 Willingly team Lipstick invited the young couple – they have been hitchhiking through Asia for the past 10 months – to drive with them to Osh. 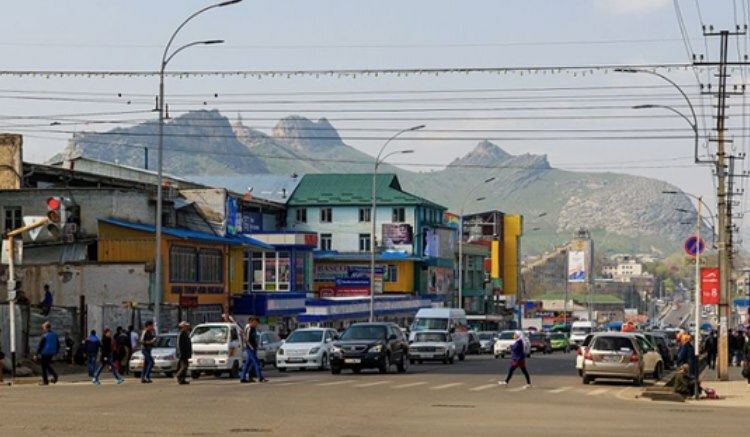 Oshis the second largest city in Kyrgyzstan, located in the Fergana Valley in the south of the country and often referred to as the “capital of the south”. It is the oldest city in the country (estimated to be more than 3000 years old- older than Rome ! ), and has served as the administrative center of Osh Region since 1939. The city has an ethnically mixed population of about 255,800 in 2012, comprising Kyrgyz, Uzbeks, Russians, Tajiks, and other smaller ethnic groups. The city is among the oldest settlements in Central Asia. 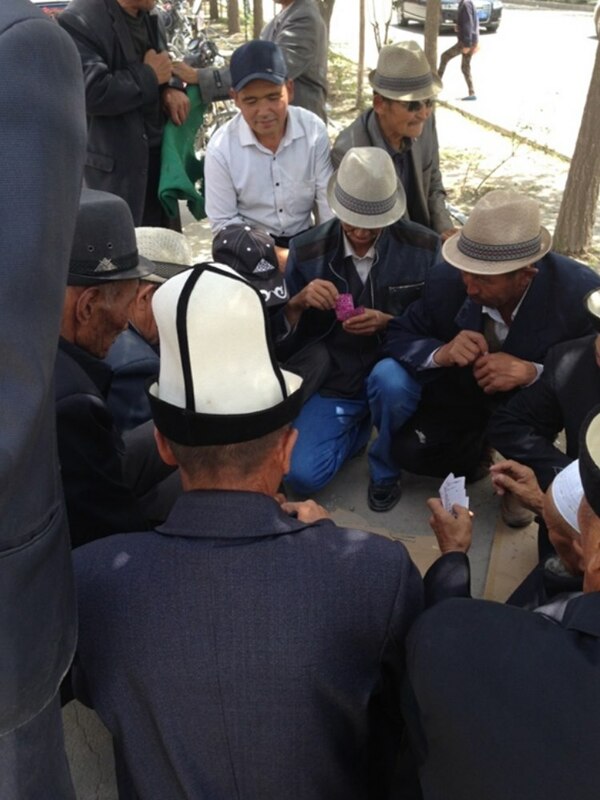 Osh was known as early as the 8th century as a center for silk production along the Silk Road. 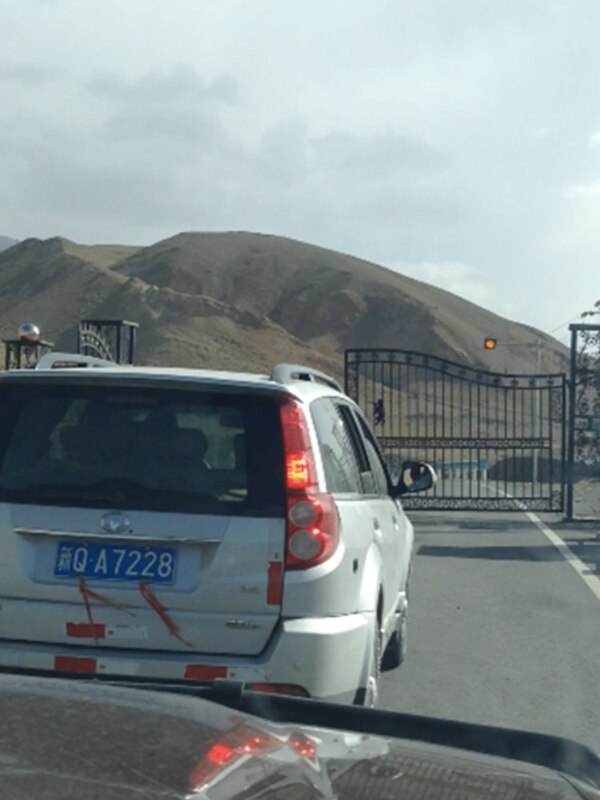 The famous trading route crossed Alay Mountains to reach Kashgar to the east. In modern times, Osh has become also the starting point of the Pamir Highway crossing the Pamir Mountains to end in Khorog, Tajikistan. 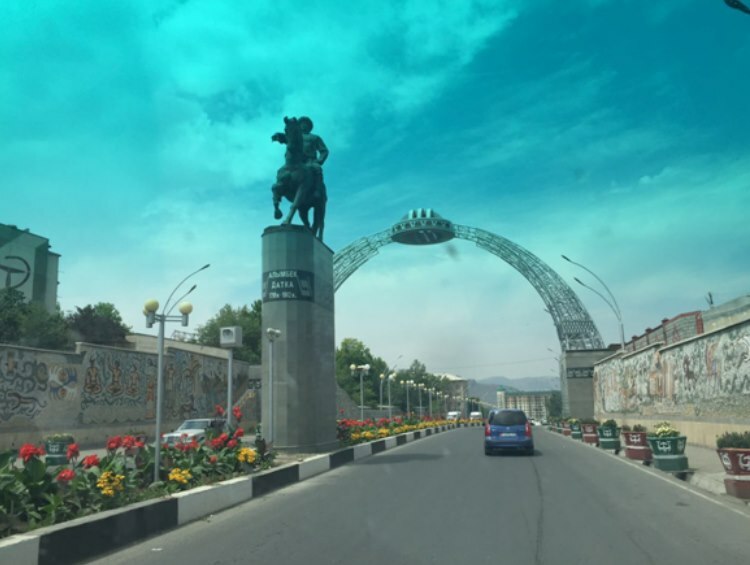 It was a nice drive through valleys and mountains and on arrival in Osh it was already dark when Andre and Willy dropped the young couple off to a guy waiting for them as their host on couch sharing. Lipstick made it to a hotel just before midnight and were fortunate that both the bar and restaurant was still open. After today’s 18 hour ordeal both Andre and Willy were falling into their beds with eyes already closed….